Having watched him “morph into a superstar” over the past 12 months, two-time US Open champion Andy North believes Francesco Molinari is ready to find his feet at Augusta National and get himself into the Masters mix this weekend. In seven previous appearances in the season’s opening major, the Italian’s best finish is joint-19th in 2012, though he came close to beating that when ending up in a share of 20th spot last year behind Patrick Reed. Molinari admitted himself last week that he’s not putted well enough in the event in the past, but has seen that part of his game improve dramatically, as evidenced by a stunning run of success over the past 12 months that included winning the Open Championship at Carnoustie and becoming the first European to win five out of five in the Ryder Cup. The 36-year-old has wasted no time showing that he’s not necessarily going to be a one-season wonder, having produced another brilliant display to win the Arnold Palmer Invitational at Bay Hill in the countdown to the 2019 men’s major campaign getting under way on Thursday in Georgia. “He possibly could be my dark horse pick to win,” said North, below, speaking on behalf of espn.co.uk, of Molinari. “What he’s done over the last 18 months is amazing. He’s a wonderful ball-striker. He doesn’t have the length that some of the other guys, but he hits it out there plenty far and he’s turned himself into a really good putter. “And here’s a guy that the big stage now is something that he absolutely loves. You see him at big events and he’s in the mix all the time. 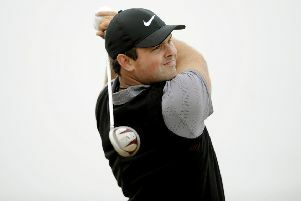 Ryder Cup, the Open Championship; he’s played some amazing golf and he’s in the hunt every time he plays in a big event. I can’t imagine he won’t be in the mix on Sunday. In contrast, of course, everyone talks about Tiger Woods, who recorded the most recent of his four Green Jacket successes in 2005 but is heading into this year’s event with high hopes after capping an incredible comeback from a series of back operations by winning the Tour Championship at the end of last season. “This is a great year for him as far as the majors are set up,” said North of the US PGA Championship and US Open being held at Bethpage Park and Pebble Beach respectively, venues where Woods has won in the past. 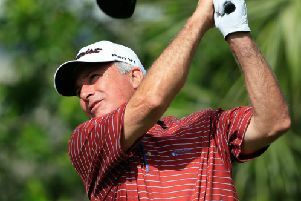 “They are golf courses he likes and he’s had success on. “If you’re breaking down where he’s at right now, I think he’s at a different place than he was last year, when he had some great finishes coming into this event, but I don’t think he still had 100 per cent confidence his body was going to hold up. I think that’s been put to rest. “I think he’s at a good place there. I think he knows he can do what he needs to do. He’s learned that he has to practice a little bit differently than he did before all those things, but I think that’s good. “I think if you look at his golf swing, it would be hard to argue it’s not as good now as it’s ever been. I thought the fact that he’s dialled it back a little bit, it looks like the rhythm in his swing and the fact that you don’t see him jumping out of his shoes during rounds on the golf course to hit it ultra hard. “I thought the last two or three weeks, particularly, we’ve seen him make a ton of really good, controlled golf swings off the tee, which was usually where he’s gotten in trouble, and he’s driven the ball much better of late. He’s put it in the fairway much more.